This year, the goal is to complete the Spartan Race Trifecta Medal here in the Philippines. We (together with some friends) already conquered the Spartan Race SUPER last February and we decided fly to Cebu to earn the 2018 Spartan SPRINT Medal, leaving only the Spartan BEAST which we plan to earn during the Trifecta weekend happening in September. Obstacle races are starting to gain popularity these days as endurance athletes are wanting to explore different sports and challenge themselves even more. Conquering a Spartan Race is more than just using brute force and strength, it’s also about technique. This is what I learned from training together with Atty. Agra (President of POSF -Philippine Obstacle Sports Commission) and the POSF team. You can run fast, you can run far and you can lift heavy… so what’s next? Time to combine them into one race. The long wait is over! Spartan Race is finally happening in the Philippines! The first ever Philippines Spartan Sprint Race is set to happen on September 16, 2017! 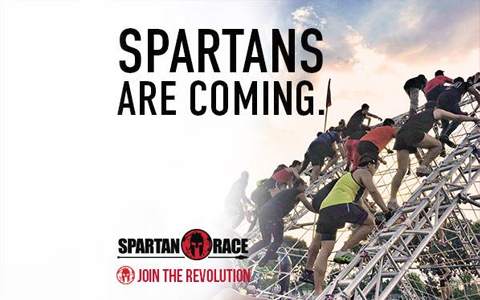 We have been patiently waiting for the Spartan Race franchise to arrive here in the Philippines, and after a few years, it seems like it's finally going to happen.